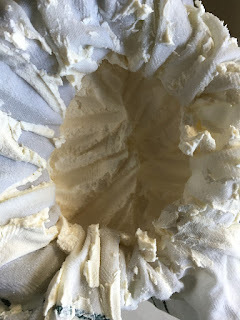 If you ever lived in one of the following countries - Austria, Germany or Switzerland, you might have grown fond of a type of cream cheese called Topfen or Quark. If you now live abroad and miss it, you need to suffer no more! For those that are curious, what I am talking off, look here! I have made Quark the old fashioned way, without rennet. I read that today it is only made with rennet to save time when commercially produced, but the real deal is made without. 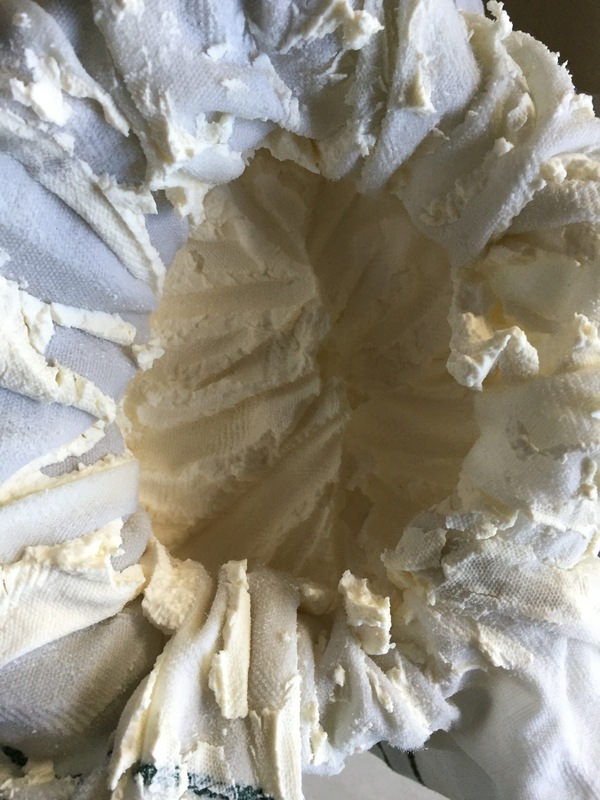 It is a little bit milder than the shop bought one, but very creamy and delicious! And on the plus side you will get a lot of fresh whey. 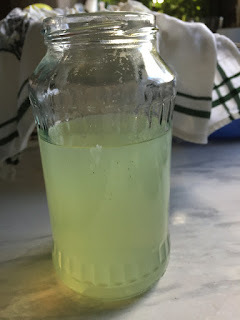 Boil a big glas jar to sterilise it. It should be big enough to hold about a litre/quart. You have to work very clean to make this work! Fill the 1 litre/quart of Milk straight from the fridge into your jar. Add 6 Tablespoons of Buttermilk as a starter culture. Stir with a boiled/sterilsed spoon or fork. Cover with a clean towel at room temperature, and set a timer for 48h later. Yes, now you have to let it patiently rest for 2 days! 48 hours later you boil a Towel, strainer and big jug. Your Quark at this stage will have set. Put your strainer on your jug. Line it with your cloth and pour your pre-quark into the cloth. And drain whey of quark for at least 12h. 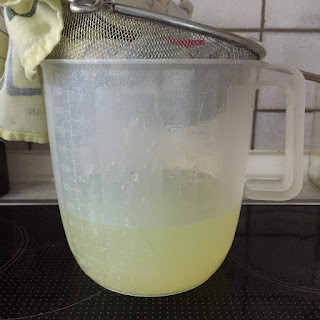 Towards the end, you should not just "hang" it in a strainer, but actually HANG it, as that really gets the last bit of whey out. And Voilà, there is your Quark cheese! Now you can get started with all your favourite uses for it! And as a little extra treat, you will get quiet a lot of fresh whey! I have made this 4 times now, and it turned out like a charm every time! So I believe this is safe to share now! Enjoy and I hope this makes you as happy as me! What do you use your whey for? Also......... do you leave it out of the fridge for the entire 48 hours? Hi Charles, Yes I leave it at room temperature (here around 20C), I wouldn't dare doing this in a much hotter environment! 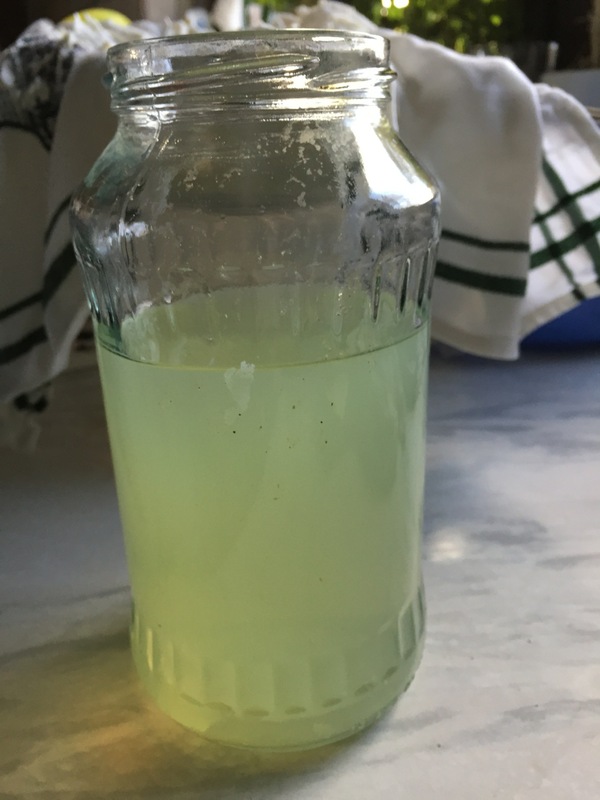 I usually use the whey for bread baking, use it instead of the water in the recipes.... For the draining part I put it in a cold spot. Our conservatory is around 5C at the moment, so I just leave it on the table there....it is like a gigantic fridge... real fridge space is very limited in this house! Wow I've never even heard of this! I bet our German foreign exchange student would've loved this when she was missing her food from home! I am pretty sure you would have made her day! So awesome, my husband is a cheese monger so I am definitely going to show this to him. Nice to meet a fellow cheese lover. I know of Quark but never had the real deal, so will make this. What fat percentage is your milk? Oh I have made lemonade with whey, was good. I love quark! Especially in summer. I just mix it with some fruits and eat it as a desert. 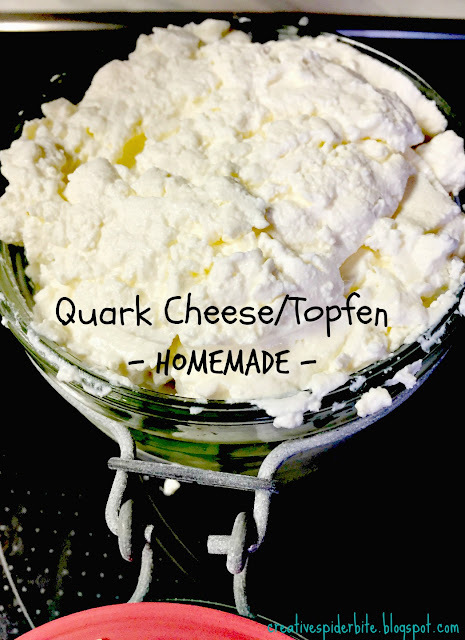 I've never heard of Quark but it looks fairly easy to make. I like the idea of having it with fruit. I've never even heard of this before, but I'll have to try it! :D Thanks for sharing it!